FARMINGTON — I had been anticipating a full dining experience at one of the area’s lesser-known eateries since I’d first learned about it two months ago. While I had enjoyed an impromptu meal at this restaurant the day I discovered it, I had yet to experience the restaurant fully-staffed. Once the busyness of the holiday season was over, I was given the go-ahead to start planning my visit. I called ahead to make a reservation and inquired about the menu. I was told a variety of soups would be offered. Given the snowy winter weather we’d experienced recently, soup sounded perfect. I’d had my heart set on soup but didn’t think I could pass up a chance to dine on Italian cuisine. While I pondered my decision, I was invited into the kitchen to witness the staff at work. I asked about the soups. “The Thai coconut curry is loaded with chicken. Surprisingly it is sweet, not spicy,” said Sam DeFroscia, also of Mt. Abram. “The Vichyssoise is traditionally served chilled but we serve it warm. 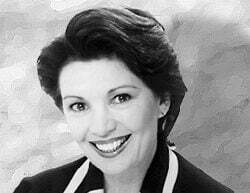 It is a pureed leek and potato soup topped with bacon,” said Stewart. Stewart is a senior at Mt. Blue High School. These aspiring chefs are among 13 students in the culinary arts program at Foster Career and Technical Education Center. Sean Minear teaches the program. Together, they operate the Chef’s Table at Mt Blue Campus. 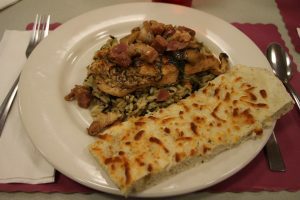 “The marsala is a chicken breast served on a bed of wild rice and is topped with diced ham, mushrooms, fresh parsley, herbs, and a creamy sauce,” said Fay. Minear shops for ingredients each morning at a local grocery store. That morning, he said, he forgot to pick up prosciutto but there was a supply of quality baked ham in the kitchen. He used it as a lesson in substituting ingredients. “There is no Italian law that says you have to use prosciutto in this entree,” Minear said. I opted for the marsala and was treated to a lunch that was rich in flavor and very filling. Caramelized onions and garlic, diced ham and fresh mushrooms completed the herb-laden sauce. The wild rice and roasted chicken were cooked to perfection. Neither was too moist nor too dry. The hearty herb-based focaccia complemented the entree in flavor and in function. “Focaccia is a bread that is easy to make and can be used to sweep up the sauce,” said Stewart. The year-long program focuses first on fundamentals, said Minear. Students learn about food safety, sanitation, and different cooking methods. “The goal is to get kids to experience different foods, flavors and cultures that they might not typically have access to locally,” he added. After the holiday break, students put together everything they have learned and open the restaurant. The clientele is mainly teachers and staff but Minear encourages community members to consider dining at the Chef’s Table. The Chef’s Table is typically open Wednesday, Thursday and Friday from 10:30 to 11:45 a.m. when school is in session. To make a reservation or to inquire about the menu, call 778-3561 and ask for the culinary arts room. Guests will need to check in at the Mt. Blue High School main office. Cost of the lunch is $4. An agreement with SeniorsPlus allows seniors 60 and older to dine for $2.50, said Minear. 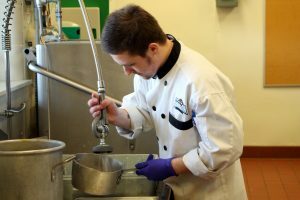 The culinary arts program is one of more than a dozen programs offered at Foster CTE. The center primarily serves juniors and seniors from Mt. Blue High School, Spruce Mountain High School, Mt. Abram High School and Rangeley Lakes Regional School. For more information, visit www.foster.mainecte.org.